It seems that Stratolaunch, a company working to develop an aircraft to air-launch rockets, may be scaling back its operations, according to a report by GeekWire. Founded in 2011 by Microsoft co-founder Paul Allen primarily to develop an aircraft that can take orbital-class rockets to an altitude of 35,000 feet (10,700 meters) in order to launch them above much of the thickest parts of Earth’s atmosphere. The company also had plans to develop a family of its own rockets ranging from small launchers to a human-rated space plane, which was announced in August 2018. However, only months after the founder’s death in October 2018, the company is ending its plans to build new rockets and engines and is instead focusing on getting the giant 385-foot (117-meter) wingspan aircraft off the ground and certified to launch rockets, GeekWire reported Jan. 18, 2019. 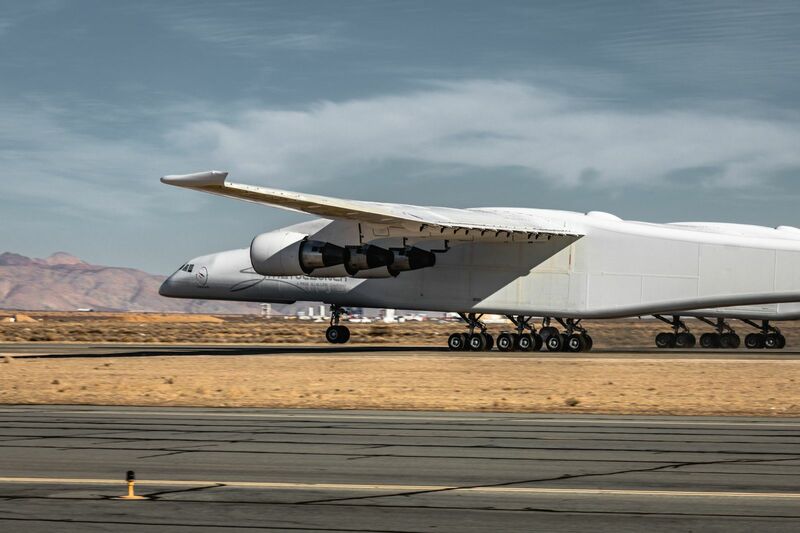 The aircraft, which is currently undergoing taxi tests on a runway at the Mojave Air and Space Port in California, is the the largest in the world by wingspan. Although it has yet to take flight, its most-recent test saw the vehicle travel some 136 mph (219 kph) down the runway, which Stratolaunch said was almost takeoff speed. Once the aircraft is certified to carry rockets, it has a capacity to hold up to three Pegasus XL launchers. This means there is a possibility that a single aircraft flight could perform multiple launches into multiple orbital planes to deploy a small constellation of satellites. Once one rocket is launched, the plane could change its trajectory and launch another rocket.